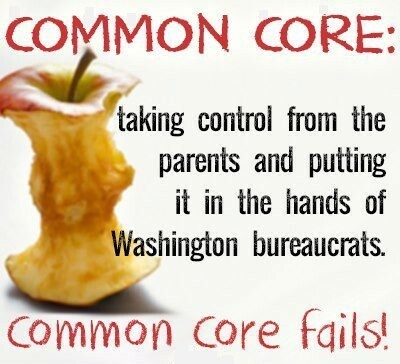 Common Core is dependent on standardized national testing. 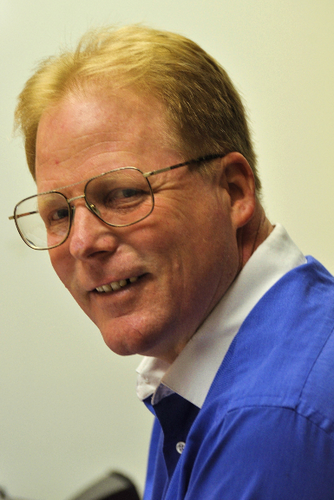 Whether the state chooses a test from SBAC, PARCC, or AIR, it will test the same standards. A kindergarten teacher and a man who graduated from Oxford University as an 18-year-old were among many adults stumped by a Common Core kindergarten vocabulary exercise in New York City. Kindergarten students were to “draw” vocabulary words, including “responsibility” and “distance,” in a workbook. The child is to interpret the word by making it into a drawing. Previously having listened to a reading of the classic children’s book Make Way for Ducklings was intended somehow to help with the process. One teacher, noting that the students were to put their drawings in a two-inch-by-four-inch box, said, “[Kindergarteners] can’t make anything in that small little space. That to me is a setup for failure.” Adults were given much more space, but still didn’t fare well. A New York Department of Education spokesman defended the Pearson-created curriculum, saying it is “100% optional.” 90% of schools have adopted the suggested workbooks. (New York Daily News, 10-18-13) Child development specialists have noted that much of Common Core is not developmentally appropriate. The director of Murfreesboro, TN City Schools told the city council that they should approve her request for iPads for kindergartners and 1st-graders and laptop computers for students in grades two through six. This meant $5.2 million in bonds to upgrade technology needed to “help prepare our children for future entry into the workforce and for future state online assessments,” according to the city education director. (Fox News, 9-18-13) Common Core tests that will be administered using a computer mean that every student needs either a computer or a tablet with a keyboard. Authors of a study of English language arts Common Core standards found that teachers will need “substantially more professional development around the Common Core, not just in understanding what the new standards include and how they differ from states’ old standards, but also to fill the gaps in instructional strategies that will be needed for students to write well.” (Education Week, 10-10-13) Researchers published their findings in School Psychology Review after analyzing Common Core writing standards, along with those of Texas and Virginia, two states that did not adopt the new standards. Several state legislatures are investigating Common Core implementation and taking citizen concerns seriously. 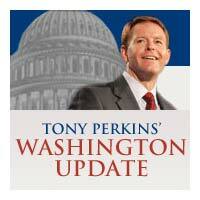 But many worry that opposition to Common Core has come too late to stop the forward motion. Others fear that it can’t be stopped because states have already spent too much money on implementation. Tags: Common Core, articles, steamroller, Eagle Forum, ARRA news Service To share or post to your site, click on "Post Link". Please mention / link to the ARRA News Service. Thanks! by Rick Manning: This past week our nation celebrated the 150th anniversary of Abraham Lincoln’s delivery of the Gettysburg Address. Once a staple in schools, where kids learned the words by heart and delivered them before the whole class, modern education has apparently deemed the soaring words of Lincoln unworthy of being taught. Harvard University students fared as poorly on a video trying to name the capitol city of Canada, which is actually located closer to their campus than Washington, D.C.
Not having even a basic knowledge of our nation’s history, the struggles to establish liberty, the unique freedom to practice religion, the sacrifices made to preserve the nation against threats both foreign and domestic leaves upcoming generations with no common thread that ties them together with their countrymen. 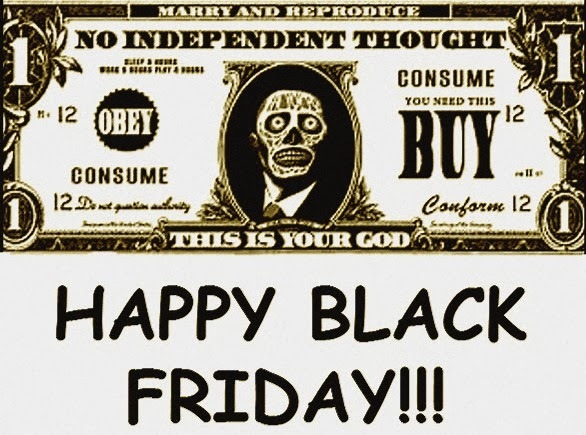 If you never learned, “We hold these truths to be self-evident, that all men are created equal, that they are endowed by their Creator with certain unalienable Rights, that among these are Life, Liberty and the pursuit of Happiness,” the concept that individual rights are bestowed by God, the creator, and not by government. If you are unfamiliar with the inspirational Declaration of Independence, our U.S. Constitution and the Bill of Rights and how they came about, how will you even know when they are being betrayed with the resulting loss of freedom? A nation stands on common threads, principles and underlying beliefs that bind the people together. The Fourth of July is just a fun day off with fireworks if you don’t understand your own history of freedom and independence that it celebrates. Yet modern education ignores these common threads as boring or outmoded. When college students have no clue about the contents of the Gettysburg Address on a day when that very speech is being highlighted nationally due to its 150th anniversary, it is reasonable to ask if that common thread is merely frayed or has it been severed? The disconnection of America’s youth from the very principles that have made America a beacon for the world and the most prosperous nation in the history of mankind bodes ill tidings for the nation’s future. A generation unaware of their natural rights will not miss them when they are taken under the guise of the common good. And that same generation will worry more about their “right” to force others to pay for contraception, than whether their government’s expansive intrusion into the economy on every front is destroying their chance at an America dream of which they are unaware. This Thanksgiving, say a prayer of thanks, let your family know that the thanks is to God who has bestowed so many blessings on our nation. Do not shy away from sharing the common thread values that have made bound our nation together from generation to generation. It just might be the first time your children, grandchildren or great grandchildren have ever heard about it. This seems to be a lot more worthwhile than watching another boring Detroit Lions game on television. Tags: Unwinding of America, Rick Manning, Americans for Limited Government To share or post to your site, click on "Post Link". Please mention / link to the ARRA News Service. Thanks! The Heritage Foundation: Three governors have faced recall elections in U.S. history. Wisconsin's Scott Walker is the only one to survive. Tags: Scott Walker, Wisconsin, Governor, conservative To share or post to your site, click on "Post Link". Please mention / link to the ARRA News Service. Thanks! Romina Boccia, Heritage Foundation: American shoppers aren’t the only ones getting ready to spend big this holiday season. Tags: BCA, budget, budget control, debt, entitlement spending, Romina Boccia, Heritage Foundation, national debt, sequester, Sequestration, Spending Caps, spending cuts To share or post to your site, click on "Post Link". Please mention / link to the ARRA News Service. Thanks! Tags: Obamacare, Thanksgiving Day, Debacle, AF Branco, editorial cartoon To share or post to your site, click on "Post Link". Please mention / link to the ARRA News Service. Thanks! Alan Caruba, Contributing Author: On Thanksgiving 2013, it may have seemed that the nation has little to be thankful for, but if you pull back from the headlines and other news, it is clear that Obama’s presidency is seriously damaged and will remain so until and after he is gone. That’s worth celebrating. I must confess I am luxuriating in the knowledge of Obama’s present misery. I am enjoying it as someone who predicted he would fail — and fail spectacularly — and yet I know, despite his present unhappiness, he has no idea why it is happening. The German word for taking pleasure in another’s failure or ill fortune is “schadenfreude.” Since this is generally regarded as unseemly, one usually keeps it to himself, but there is no need for that in Obama’s case. A small legion of conservative pundits has been warning about the consequences of Obamacare since Obama signed the Affordable Care Act into law in 2010. The bill is so badly flawed that, even with three years to prepare for its rollout, the administration made a mess of that. Those who know more about it than I predict that it will simply implode for lack of people — mostly the young and healthy — who will not participate in the exchanges. The horror stories will begin to mount as we learn of those who lost their insurance coverage, were unable to pay huge, increased premiums, and die as a result. That’s an important difference. Henniger is talking about communism because “progressive” is the term that has been adopted to disguise communism. In the 1950s, when I was growing up, communism was called communism because people knew the Soviet Union was communist and that it was the enemy, It is still the enemy, most particularly of freedom and, beyond that, of free market capitalism that facilitates better lives for those who live in nations that exercise it. 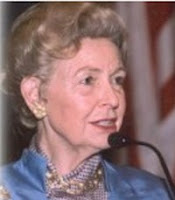 The problem for America has been the way it has moved to the left since the dawn of the last century, adopting all manner of “entitlement” programs, but both Social Security and Medicare will be insolvent soon unless they are reformed to reflect the changing demographics of a growing, aging population. The move to the left increased the size and scope of the federal government in ways the Founders would never have imagined or wanted. Our present miseries are rooted in the failure of communism aka progressive government. In perfect synch with the failure of his “signature” legislation is its living embodiment, the failed presidency of Barack Obama. He is an example of those people who, despite their limited skills, continue to be hired for jobs higher up on the ladder until their failures are catastrophic. January 2005 until he was elected President in 2008. None of this demonstrates much preparation to be President and none of this suggests a level of competence for the job. In sum, Obama has displayed a talent for campaigning for office, but has proven to lack all the attributes necessary to act effectively in office. This wouldn’t be a problem if he had remained an obscure junior Senator from Illinois, but has failed to solve the problems that come with any presidency. 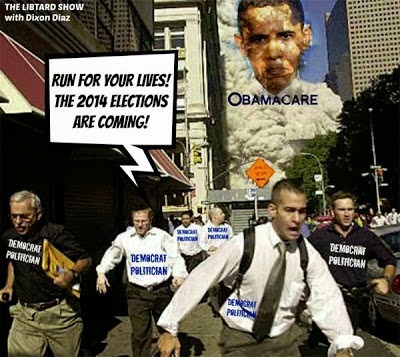 Democrats up for election and re-election in 2014 will not want to be seen on the same stage with Obama. Those in Congress are already voting for any kind of band-aide to “fix” Obamacare, but no one is fooled by that. It can’t be fixed. It can only be repealed. I am surprised that it took this long for the voters to realize the mistake they made, but America has a Constitution that enables them to overcome such errors and the economy is robust enough to resist much of the damage he has inflicted on it. We’ve had presidents in the past that were not up to the job. They were replaced. The nation moved on. It will do so again. 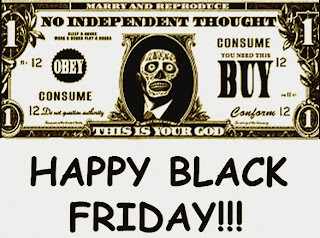 Tags: Schadenfreude, President Obama, Alan Caruba, Warning Signs To share or post to your site, click on "Post Link". Please mention / link to the ARRA News Service. Thanks! Please note that the ARRA News Service will not publish Thursday and on will be minimum on Friday, and there are low expectations for Saturday and Sunday. It is time for some R and R and catching up with family! Tags: Thanksgiving, 2013, George Washington, Thanksgiving Proclamation, October 3, 1789 To share or post to your site, click on "Post Link". Please mention / link to the ARRA News Service. Thanks! Bill Smith: George "GM" Roper, a fellow blogger, a patriot, and all round great guy, lost his battle with leukemia this morning at age 67. I will miss GM ,but I'm certain we will see each other again. GM believed and trusted in Christ and often said "God doesn't make mistakes" (which he doesn't) and he knew that he would be with Him and others that trusted in Christ. My prayers are for his family and close friends. May the Lord give them a special grace and may the Holy Spirit comfort you during this hour of their suffering. Jeremiah Duboff said today, "George Roper was one of the kindest, classiest people I've ever "met" on the Internet. Almost 10 years ago, we lucked into the same online discussion group, and there began one of the most cordial acquaintances I'll ever know. Mostly we hashed out political topics, during which he distinguished himself by neither spewing nor tolerating any inflammatory or abusive comments. By occasionally sharing family news, you always knew there were human faces behind any smiley face. (George didn't do smiley faces, of course. Plain English was good enough for him.) He shared the joy of watching his family grow, which I'm sure was a great inspiration to him during the health battles he shouldered honorably. George was also, in his low-key way, helpful and fun-loving. He deserves to live forever in your and our memories." As a fellow blogger, I appreciated the way GM could 'turn a phrase" and also his desire for a better America. George was born into a career military family and he respected both America and those who serve it. He had a way of connecting with everyone he met. Although we were the same age, because of the respect he had for his dad's 32 yrs of military service (and GM also served), he openly showed an appreciation for my military service. War and Remembrance by GM Roper: This is not about national news, partisan bickering, stupidity of government, comedy (oh, wait, is that the same thing?) or any other post I have done. This is about a boy and his dad. I’m was the boy and this is about one of my heroes, my Dad. Forgive me if the title is a little misleading for some, it’s not about the current war, but on the effect of war on a single man, one who is gone, but not forgotten. On the cusp of another Memorial Day, its important for me to put this down, and I hope it’s message is important to you, because my dad was one of the “Greatest Generation” so eloquently described by Tom Brokaw. A career Army Officer, a patriot, a deeply religious man and my hero. re·mem·brance (P) Pronunciation Key (r-mmbrns)n. 1.The act or process of remembering. 2.The state of being remembered: holds him in fond remembrance. 3.Something serving to celebrate or honor the memory of a person or event; a memorial. 4.The length of time over which one’s memory extends. 5.Something remembered; a reminiscence. 6.A souvenir. 7.A greeting or token expressive of affection. This is my remembrance of a man who fought in three shooting wars, so that his kids and grand kids and generations beyond would have a life better than his own. Dad was born in McAlister, Oklahoma where his dad was an assistant warden at the Oklahoma State Prison. He used to say that he wasn’t born in Texas, but got here as soon as he could. Grand Dad was a career army officer who after WWI was assigned to “non-military” duties temporarily following a reduction in forces. Grand Dad was recalled to active duty the following year and stayed in the Army until his retirement in 1949. Growing up on a number of military bases, all Calvary units, gave dad an early inside look at the functioning of the Army. He decided in High School that he would be a career soldier like his dad, and his dad before him. Joining what would become ROTC in High School, Dad spent his summers training. He graduated from H.S. in 1939 and was off to the University of Texas to obtain a degree in Political Science. He enlisted in the US Army in 1940 recognizing then, even if few else did, that we would soon be involved in a growing war in Europe and possibly in the pacific. He was stationed at Fort Sam Houston as an EM and was commissioned in July, 1941 as a 2nd Lt. Immediately following dad’s commissioning, his dad was ordered to take charge of a battalion of Philippine Scouts on Mindanao Island, Republic of the Philippines. Dad met mom, got married in 1942 and in 1943 had their first child, my sister Pamela. In 1944 long after Grand Dad had been imprisoned in a POW camp by the Japanese, Dad was sent to England for the invasion of the mainland. I have written about some of the exploits of Dad’s unit, the 405th Infantry of the 102nd ID here, here and here. I don’t remember anything about WWII having been born in Germany after the war, but I remember Korea and Vietnam. We lived in former Army hospital housing in Fort Benning, Ga. where my two brothers Doug and Bert were born. In the fall of 1950. Dad was an instructor at The Infantry School at Fort Benning. The message came down via the routine channels. Ship out to Korea, assignment, communications officer for a Tank battalion, not a great assignment for an Infantry Officer and Dad recounts that he worried about the effect on his career as an Infantryman. Moving to San Antonio, Texas for the duration of the war, we settled down in a house across the street from my Dad’s parents. Dad landed in Korea where he took part in the breakout from the Pusan Perimeter. As allied forces pushed the PRK forces back Dad was there. I don’t know all of the details of his time in Korea, I recall him talking about the push to the Yalu River with his troops and the “Frozen Chosin” and the battle with the Red Chinese in December 1950 when they crossed the Yalu river in force. One story related the fate of a rather selfish captain who, having received a bottle of booze hid it outside rather than share it with anyone. In the middle of the night, he decided to sneak out for a quick nip. The alcohol was unfrozen of course, but still below zero when the unlucky captain swigged a mouthful. The freezing cold liquid froze his esophagus and stomach and he died in severe pain. After being pushed back from the Yalu Dad given a chance to “volunteer” for a dangerous assignment, one more in keeping with his training in “The Queen of Battle” as the Infantry is known. The assignment? Training and taking Republic of Korea troops behind enemy lines and into North Korea. Dad returned to the US in 1952 and we moved back to Fort Benning where I entered the first grade. Moving to Germany in 1954, Dad was stationed at 7th Army Headquarters in 1956 when in October, ’56 the Hungarian people rose up against their Soviet Oppressors. On November 4, ’56 Soviet forces entered Hungry with a mind to crush the Hungarian Revolution. At the same time in Egypt, Israel, France and England invaded and took over the Suez Canal. Crisis on two continents, was World War III about to begin? Our emergency travel bags were packed, and the possibility of war with the Soviet Union over the invasion of Hungry necessitating the evacuation of American Dependents was a real possibility. Dad worried about our safety, at the same time he had to plan for possible war. War was averted and the intervention of Eisenhower forced Israel, England and France to withdraw from the Suez. In the summer of ’57 we headed home again and Arkansas was our next stop as Dad became the Adviser to the Arkansas National Guard. More troubles, not long after we moved to Arkansas, the Governor called out the guard to prevent integration at Central High School in Little Rock. All of us had gone to school for years with children of other colors, other races, other religions; we didn’t understand the hatred we saw. Years later, Dad recalled the relief he felt when Eisenhower called in the 101st Airborne to protect the students, and Dad did everything he could to keep the Arkansas National Guard in check. Summer of ’61 brought more problems. Despite growing up in a very much “Happy Days” environment in Arkansas, South East Asia was heating up. Our new President ordered American Advisers to Vietnam to assist the RVN forces, Dad received his orders in June and in mid August he landed in the RVN. The next 12 months were an agony for Mom and the four kids. Usually once a week there was a news cast about Vietnam, most of my fellow 10th graders had no idea where Vietnam was or why we were trying to help. That would change. In March, we received a phone call from a friend who told us to quickly turn to CBS news; Dad was on! Quickly we changed channels, but were too late. I remember Mom crying that night, fearing that after surviving two shooting wars, Dad may not make it home from the third one. He did though and in late July, 1962 Dad returned home two weeks earlier than scheduled, his mom had died and the Army opted to let him come home early for the funeral. Next assignment, the Pentagon and Washington D.C. Actually, Building T-7 one of the Temporary buildings built during WWII to last 5 years. At 20, this one was still going strong. In June he received a phone call from a Lt. Col. in the Pentagon asking for a copy of his medical records; he was being considered for promotion to Brigadier General. “Go to hell Col.” Dad said, “I’ve put in 32 years in this Army, I’m retiring in 20 days. Of course, the family was disappointed. Knowing Dad would have gone from Private E-1 to General without benefit of a college degree would have been quite an accomplishment, but Dad was adamant. I learned a lot from my Dad, and the older I got, the wiser he got. I learned to love my God, my family, my country. I learned that all men are created equal and though equal outcomes are impossible, if you try to be the best that you can, you never lose. I miss you Dad, and I want you to know that you were really and truly a hero to me, and to others. You didn’t die in war, but you gave your life for your country in the best possible way, by living, but by also willing to put your life on the line. Thanks Dad, you will ALWAYS be my hero.Thanks George. In your kindness and respect you showed others, you evidenced that we could all be better people. I'll be seeing you on the other side the vale. Tags: GM Roper. 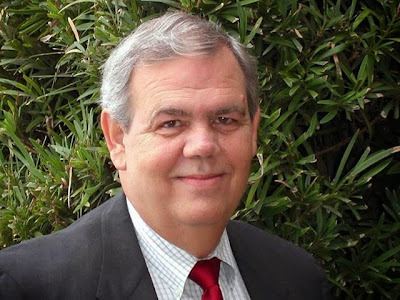 George Roper, blogger, veteran, age 67, died, Nov. 27, 2013 To share or post to your site, click on "Post Link". Please mention / link to the ARRA News Service. Thanks! 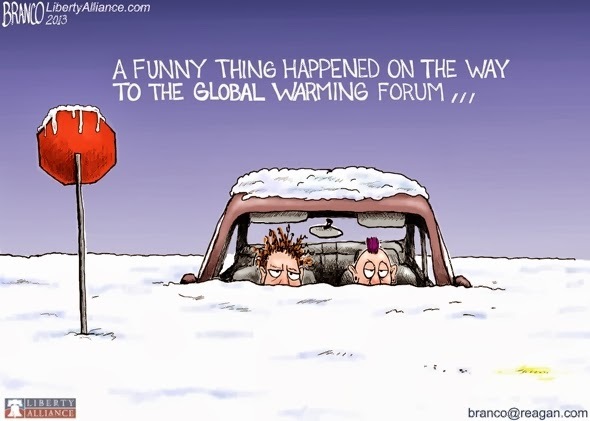 Tags: AF Branco, editorial cartoon, Snowed in, Global Warming forum To share or post to your site, click on "Post Link". Please mention / link to the ARRA News Service. Thanks!
. . . Oh My, Did they know this was after the Elections? Of course, they did! by Sean Hackbarth, Contributing Author: UPDATE: The process really won't get better anytime soon. Politico reports that the federally-run SHOP Marketplace website will be delayed until November 2014:“We’ve concluded that we can best serve small employers by continuing this offline process while we concentrate on both creating a smoothly functioning online experience in the SHOP Marketplace, and adding key new features, including an employee choice option and premium aggregation services, by November 2014,” according to an HHS notice issued a day before the long Thanksgiving weekend. Those features give workers more choice of health plans, rather than having the business owner choose it. 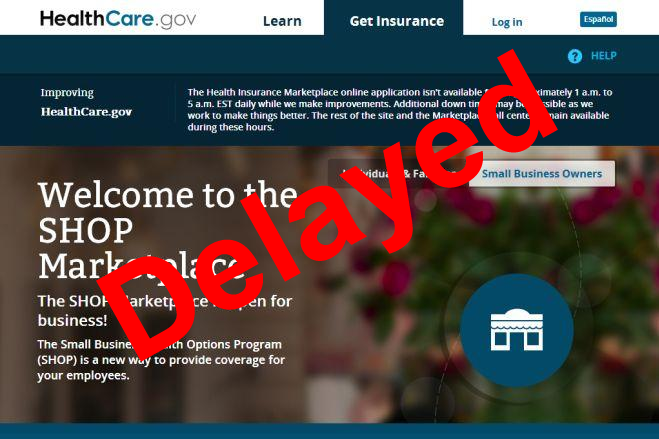 The administration originally delayed online enrollment in the federal-run small business exchanges just days before the failed Oct. 1 launch of HealthCare.gov. At the time, HHS said online enrollment would be available “sometime in November.” Weeks ago, administration officials said online enrollment would be ready by the end of this November.In a blog post, the Department of Health and Human Services explains how small businesses can buy health plans for their employees without a functioning website:For small businesses in states with a SHOP Marketplace that’s run by the federal government, we are making changes to make sure that you can take advantage of SHOP coverage and the tax credit as soon as possible. Specifically, for 2014, small employers will enroll their employees in coverage through an agent, broker, or insurer that offers a certified SHOP plan and has agreed to conduct enrollment according to HHS standards. This process, called “direct enrollment,” is similar to how most small employers get insurance today. You don’t need to apply for SHOP eligibility before enrolling, or to use HealthCare.gov, unless you’d like to see information on your plan options, including which insurance companies offer SHOP Qualified Health Plans in your area.The post also notes that the enrollment period to begin coverage on January 1, 2014 has been extended to December 23. Sean Hackbarth is a blogger at Free Enterprise and does policy advocacy at the U.S. Chamber of Commerce. He is a contributing author at ARRA News Service. Tags: Obamacare, small business, healthcare plans, delayed until, November 2013, Sean Hackbarth, Free Enterprise To share or post to your site, click on "Post Link". Please mention / link to the ARRA News Service. Thanks! (Washington, D.C.) – Today, Citizens Against Government Waste (CAGW) identified an overstuffed turkey just in time for a Thanksgiving feast fit for the taxpayers, naming Rep. Steve Israel (D-NY) its November 2013 Porker of the Month for his bird-brained statement that the Obama administration had solved all of the Affordable Care Acts problems. Rep. Israel’s unrealistic and uninformed statement occurred on November 14, 2013 in an article published in The Hill regarding the botched roll out of the Obamacare website, Healthcare.gov. Israel’s comment preceded by one day House consideration of H.R. 3350, which “permits a health insurance issuer that has in effect health insurance coverage in the individual market as of January 1, 2013, to continue offering such coverage for sale during 2014.” When reporters asked his opinion on the legislation, Rep. Israel stated that the Obama administration already had everything under control, and that the Republican legislation was just another move to sabotage the Affordable Care Act (ACA). “It is no longer necessary to fix the problem because the administration has fixed the problem,” Israel said. “It (the Republican legislation) is only necessary if it is designed as yet another attempt to ambush and sabotage the law.” H.R. 3350, the “Keep Your Plan Act,” was passed with bipartisan support on November 15 by a 261-157 vote. Rep. Israel’s argument certainly came as a surprise to the American people. McKinsey & Co. warned senior White House officials in April of the inefficiencies that would occur if the Obamacare website roll out was launched as planned. Between 4 and 5 million Americans (and counting) have lost their existing healthcare plans since October 1, and just over 106,000 have enrolled since November 1, which is far below the administration’s estimates. In the face of both growing discord from even members of the Democratic party, and anger from the American people, who were misled by President Obama’s pledge of “if you like your plan, you can keep it,” it seems as though the administration is far from securing a permanent fix to anything. President Obama’s approval ratings have reached a record low of 37 percent, while only 7 percent of Americans think Obamacare is working well and should be kept in place. Rep. Israel is the man tasked with winning back the House majority for Democrats in 2014. As chairman of the Democratic Congressional Campaign Committee (DCCC), his statement indicates that he is desperately trying to salvage the political hides of those panicky members who unwisely supported Obamacare, and to advance the political interests of his own party, instead of wrapping up the rotted parts of ACA and throwing them out. But he probably can’t even give away the DCCC’s free “I Love Obamacare” bumper stickers at this point. Although there have been an array of dishonest and downright misleading claims made regarding Obamacare in the last month, Rep. Israel’s statement is not only ignorant of the truth, but blatantly disrespectful to the majority of Americans who look unfavorably on the law. 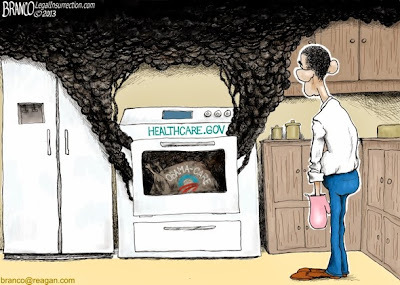 Obamacare is the over cooked, dry turkey of a federal program that Democrat’s are trying to shove down the taxpayers throats for Thanksgiving dinner. For having uttered this patently partisan and preposterous statement, CAGW names Rep. Israel its November 2013 Porker of the Month. Citizens Against Government Waste CAGW is a nonpartisan, nonprofit organization dedicated to eliminating waste, fraud, abuse, and mismanagement in government. 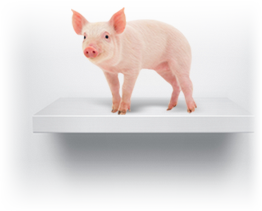 Porker of the Month is a dubious honor given to lawmakers, government officials, and political candidates who have shown a blatant disregard for the interests of taxpayers. Tags: Rep. Steve Israel, Democrat, New York, CAGW, November, 2013, Porker of the Month To share or post to your site, click on "Post Link". Please mention / link to the ARRA News Service. Thanks! Liberty Counsel : Today, the United States Supreme Court agreed to take up two cases involving challenges to the Obamacare Health and Human Services (HHS) mandate requiring employers to fund abortion-inducing drugs, sterilization, and contraception. The two cases include a claim brought by Hobby Lobby, where the federal court of appeals blocked the HHS mandate, and a claim brought by Conestoga Wood, in which a different federal court of appeals upheld the mandate. Striking down the HHS mandate will not stop Obamacare, but it will prevent the federal government from forcing abortion and contraceptive funding upon religious employers or companies operated by people of religious conviction. Liberty Counsel is an international nonprofit litigation, education, and policy organization dedicated to advancing religious freedom, the sanctity of life, and the family since 1989, by providing pro bono legal assistance and representation on these and related topics. Tags: Supreme Court, HHS Employer, abortion, Obamacare, mandate, Hobby Lobby, Conestoga Wood To share or post to your site, click on "Post Link". Please mention / link to the ARRA News Service. Thanks! Alan Caruba, Contributing Author: Let me begin by saying that the deal the U.S. struck with Iran on November 24 is so criminally stupid that mobs with torches and pitchforks should be surrounding the White House and Department of State demanding that the President and Secretary of State resign. How many times does the United States have to make really bad deals with really bad nations? And then call it progress! In 1994, former President Clinton announced that a deal with North Korea had agreed to “freeze the major elements of its nuclear program.” A new round of talks was scheduled—in Geneva—to dot the i’s and cross the t’s. 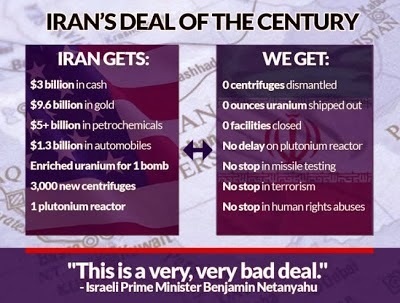 Virtually the same language was used by President Obama in his late evening announcement of a fundamentally useless, but extremely dangerous agreement with Iran. Worse than accepting Iran’s deception, it is as if Obama knew nothing of the North Korean deal that subsequently resulted in its development of a nuclear weapon despite some costly bribery exacted for promises it never intended to keep. The worst part of this is Obama’s deception of Congress and the American people. Efforts to grant Iran the status of a new nuclear power had been secretly going on for a year behind the back of Congress. It is important to keep in mind that not just the U.S. is a signatory to this agreement, but also the United Kingdom, Germany, France, Russia and China. It was facilitated by the European Union. The lessons of history were totally ignored. The sanctions imposed by the United Nations on Iran were ignored. For years many have taken comfort in the knowledge that, in the past, Israel destroyed the nuclear reactors that were being built in Iraq and more recently in Syria. An attack on Iran’s nuclear facilities was assumed to have the support of U.S. military power in the event that Iran would retaliate either directly or through its terrorist proxies, Hezbollah in Lebanon and Hamas in Gaza. It is clear now that Obama has abandoned Israel as well as Saudi Arabia which also regards Iran as its enemy. Obama has embraced America’s enemy since the Islamic revolution in 1979. He has not brought us closer to peace. He has brought the world closer to World War Three. I am not a military strategist, but one need not be to understand Israel’s peril or the limits on its ability to attack Iran’s nuclear facilities, many of which are underground or heavily defended. Iran has a population of 78,868,711. Israel has a population of 7,765,700. Of these, those fit for military service are 39,556,497 in Iran and 2,511,190 in Israel. Comparing active military personnel, Iran has 545,000 and Israel has 187,000. Iran has 650,000 in military reserves. Israel has 565,000. Iran’s annual defense budget (in USD) is $10,687,000,000 and Israel’s is $15,209,000,000. The comparison of their military capabilities is equally daunting. A sobering analysis is offered on the website of the Jewish Virtual Library. Even if Israel were to attack Iran’s nuclear facilities, it would also have to fend off massive rocket attacks from Hezbollah and Hamas. What defies Obama’s reasoning is Iran’s long history of attacks on the West. It has specialized in taking hostages, initially in Lebanon from 1984 through 1992. It seized the American embassy in 1979 and held American diplomats for 444 days. It holds an American cleric as this is being written. Obama’s ability to thwart Iran’s nuclear ambitions and its intent to become a Middle East hegemon through diplomacy does not exist. A race to acquire nuclear arms has begun in the region where Israel and Pakistan already have them, as does India and China. Saudi Arabia has announced its intent to secure nuclear weapons. One can only conclude that this interim agreement is a repeat of the appeasement that occurred in Munich when European nations sought a similar agreement with the Nazi regime. The lessons of history are unforgiving. 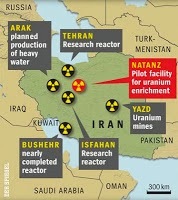 Tags: World War Three, Iran, appeasement, Alan Caruba, Warning Signs To share or post to your site, click on "Post Link". Please mention / link to the ARRA News Service. Thanks!